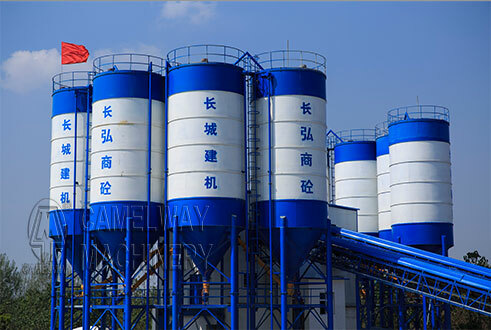 The common type HZS240 concrete batching plant is often equipped with twin-shaft forced type concrete mixer as the main engine. It can be used to produce plastic concrete, dry-hard concrete mixer and various concrete and its quality is reliable. The cumulative measurement and separate measurement of aggregate are done with electronic balance. Cement, water and additive are weighed on the weighing hopper. It has the characteristics of accuracy, computer centralized control, easy operation, easy adjustment and reliability. Aggregate is lifted by hopper or conveyed by belt. The electrical components of the HZS240 commercial concrete batching plant have features of reliable performance and high production power. It can be applied to produce concrete in large scale. The HZS240 commercial concrete batching plant in the large scale project is controlled by computer and PLC. It can be controlled automatically or manually. The operation is quite easy and is easy to master. What is the difference between volume based and weight based concrete mixer?